The auction house originally estimated it would sell for more than $50,000. This story originally published on Feb. 23, 2018. 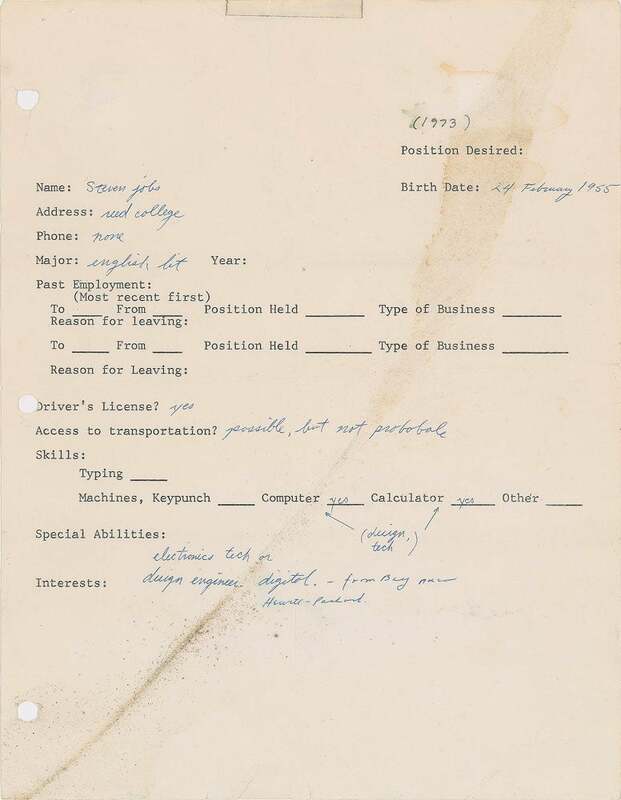 A job application that Steve Jobs filled out in 1973 has been sold at auction for $174,757, Boston-based RR Auction revealed Friday. The late Apple co-founder famously dropped out of college and went on to build one of the most successful and iconic companies in history. But before his entrepreneurial days, Jobs was a kid in need of some extra cash. Jobs would have been 17 or 18 when he wrote the application, though the position and company he was applying to are unclear. The auction house originally estimated that the document would sell for at least $50,000, despite it being creased and stained with a bit of tape stuck to it. 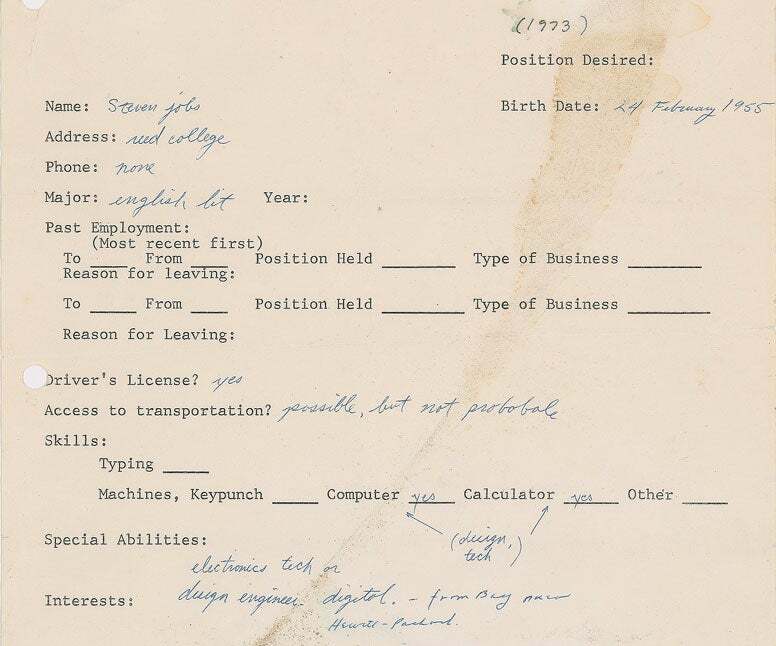 The information he provided on the one-page document features grammatical errors, though it shows that Jobs knew tech skills were his strong suit even from a young age, although he specified his major as “english lit” on the application. Under “special abilities,” Jobs wrote “electronics tech or design engineer. digital. -- from Bay near Hewitt-Packard [sic].” He also wrote “yes” next to “Computer” and “Calculator” and wrote “(design, tech)” below those categories. Jobs worked at Atari before he co-founded Apple in 1976. He died of complications from pancreatic cancer in 2011. Related video: What Made Steve Jobs Such an Effective Leader?